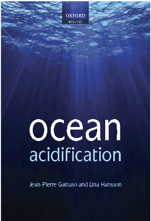 “pH” is one-half literary fiction and one-half issues book, with the issue in question being ocean acidification. If that sounds like it would be hard to build an interesting novel around … it is. And “pH” frankly fails. Sure, we get the relatively rising pH of the ocean is a big deal, tied into climate change and ecological destruction, and that ignoring it as an early warning sign is liable to make future problems worse. And yes, we come to understand that the main characters — the crew of a research voyage comprising UA grad students and professors — care about it a lot. But none of it’s enough to make the dry issue interesting enough to be the central theme of even a short book. Every time the plot bends itself into pretzels to bring it back up or stops dead so one protagonist or the other can spend a paragraph lecturing, all it invokes in the reader is rolled eyes and muttering under the breath. Which is where the literary half comes in. If that sounds familiar, it’s only because everything in this book feels like a copycat of the stereotypical white male literati, the sort that gets parodied on the internet for being pretentious and stuck-up even as their work gets more and more derivative. The overall plot is fine, but typical of the genre and generic in its execution, leading up to a predictable ending. The characters feel like cardboard cut-outs created by gluing recognizable traits together, but none of them quite come to life. Helen, an Inupiat grad student along on the expedition, fares the worst. In part it’s because she’s caught the tired literary role of “young woman sleeping with her professor,” but mostly it stems from her clearly being there to offer a Native perspective on stewardship and the importance of conservation and village life and … everything, really. Except she can’t really do that, because Lord isn’t Native, and the reader is constantly reminded by Helen’s stilted, performative narration, which feels like it was copied in bits and pieces from other people’s books. Which is an accurate way to describe the whole book, now that I think of it. 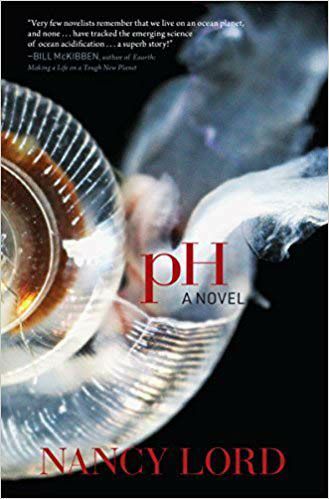 Still, if you’re not familiar with literary fiction or its tropes (or the writing of MFA students), you may well enjoy “pH.” There’s certainly nothing wrong with it; Lord’s experience makes sure of that. Just, adjust your expectations appropriately. And get the paperback. Addley Fannin, Daily News – Miner, 1 April 2018. Article.